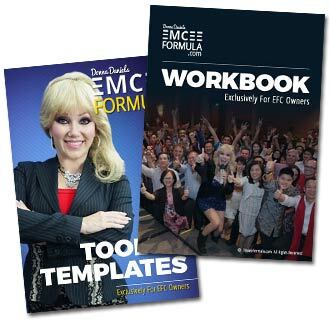 Emcee Formula | The Ultimate Emcee Course by Donna Daniels | Emcee Formula by Donna Daniels is an on going online advanced training for professionals & beginners to innovate, dominate & crush the events market. Are you an Emcee, budding Emcee or thinking of becoming a Professional Emcee? The Time to Become THE Go-To Emcee in Your Industry Has Arrived! You’re going to stop the DAY to Day grudge in a normal job. No more COPYING everyone else frantically looking for ideas. Stop BEATING YOURSELF UP, wondering what ‘mistakes’ you’re making. Stop focusing on WHY do others seem to be doing SO WELL? The world of entertainment is highly competitive & it almost seems impossible to get a foot in the door. Or move yourself up to the next level….it’s even like you’re falling BEHIND, being overtaken by everyone else. You may be even asking if it’s even worthwhile to keep at it! Or, you can think entirely differently. It’s time to get REAL! It’s time to unlock your authentic personality so people immediately see and judge you differently. You can showcase your unique talent & abilities so you become the ‘favorite’ and shrink the time it takes to attract new event companies & clients. There is a proven science and a very teachable method to being a top-notch emcee. But you need to get the REAL DEAL! The ‘A – Z’ of courses that covers EVERYTHING that is not covered ANYWHERE by any other person. And the only course that I know of in the market that does this is Emcee Formula Course (EFC). It's time to build the Business of YOU! Hello... I'm Donna Daniels - corporate emcee, TV showhost, singer, recording artist, corporate entertainer, author, volunteer, spiritualist, vegetarian & pet lover. I love people and have been blessed to perform for audiences as small as 20 & as grand as 45,000. I originally hail from Down Under but I've performed in over 27 countries and 56 cities. I've over 1,000+ and counting real video testimonials from delighted clients in just the last 3 years. What I teach are the best methods gleaned from 20 years of experience and what I put into practice myself... yeah! 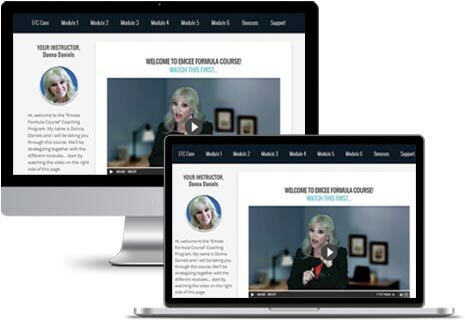 Donna has transformed her experiences into digestible concepts and it's now a thriving online course... Emcee Formula Course. EFC is something she has never seen in the market... and that she had learnt a lot... She mentioned that it covers the technical side and event running aspects. She said there're quite a few modules that never crossed her mind but found them to be very, very important details. He also said that EFC broadens one's mind very quickly and it’s very digestible so any emcee can plan out what are their next move is to improve themselves. He also said that it's a great course for emcees and entertainers! 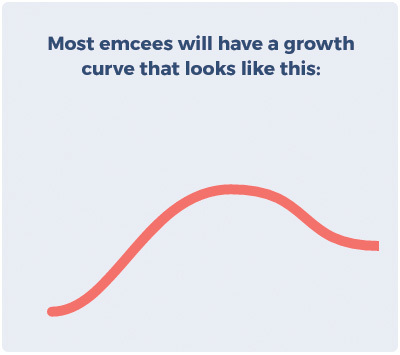 EMCEE FORMULA COURSE is an advanced online training program that gives you the clarity and confidence to launch, grow and scale your high profit emcee business. Lessons will be released on a monthly basis with a "LIVE" group masterclass. This is about setting a solid foundation for your long-term success and how to best boost your marketability with the right type of emcee business model. How To Command The Big Bucks - Why you need to be different and how to move yourself into high gear. How to differentiate yourself from the rest of the pack. How to create high demand for your services in a competitive market. Features VS Benefits - The 2 things you need to know to hit the bulls-eye every time. How to emotionally impact the market. Using the 3 right F's for higher profit and maximum results. This module is all about setting you up for success. It's about designing the perfect emcee business - and that's what I'll show you how to do. This is about crafting your skills. Allowing you to easily "move" any audience. I'll show you exactly how to develop your skills so that you can get the reaction you want from the audience without breaking a sweat. EAM Positioning - How to engage the audience to the max. How to avoid the checked out syndrome. Which direction gives you the power and control. Mis-Direction - How to grab the audience attention from the start. How to engage them in a pleasant and often surprising way. You A Uniquely Talented Entertainer - Discover your usp capability. Learn a special technique that will wow your audience. How to make competition a non-factor. Stage Lighting - Understand the importance of the environment. How making slight adjustments makes a big impact on stage. The Art Of Music - How to motivate the audience with least effort. How to control the audience without saying anything. Why this is a crucial driving force for the event. Strategic usage of the correct one at the correct time. Energy Shifts - Learn simple & easy techniques that will transform your events. How to strategically place these so you gain power & control. How to get the audience to follow your lead. Killer Openings - 5 Simple steps for your KO. How to win the audience and get them to remember the event. Learn to engage & understand the 3 different groups of people in your audience. The E-Wave Technique - Why creating the E-wave is essential to the flow of the event. How to think like the captain of a ship when directing the audience. Why getting this right will help you reach optimal levels at the end of the event. Multi Sensory Engagement - Understand the 3 different types of audiences. How to engage 100% of the audience. Learn the secret to move the audience higher & higher. 3 + 1 Advanced Technique - How to get the audience to agree with you every time. Why this will set you up as a leader. Open the path to least resistance and max fun. The more strategic you are with your new found skills, the more you'll wow your audience and position yourself as top notch. This is your plan for keeping your audience engaged event after event. If you don't have this, you're in trouble. The Power of Rituals - Learn exactly what your audience need to feel and how to make them feel it. How a simple method can turn your events from boring to exciting. Learn how easy it is to get your audience to participate. The Art of The Spin - How to make every event seem unique. 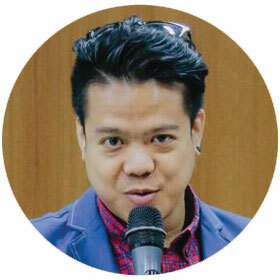 3 Hot tips to make you one of the most awesome emcees in the market. Learn how to customize any event, game or message you need to deliver. Metaphors - A downloadable zip file consisting of 168 powerful ones that audiences identify with & make you more impactful & memorable. Why using just a few of them helps audiences to up. Program Mastery - I'll give you my very own "LIVE" sample from an event. How to get you creative juices working. Help your audience actively experience the event. Show Me The Funny - Caution! If you don't know how to use this properly you can offend the audience. The reason why many emcee's have a hard time getting audiences to come up on stage. Learn how to make the audience leave the event loving you, remembering you and recommending you. Action Power Words - How to create content to move your audiences emotional state. The right choices can inspire a desired outcome. Key distinction that separate OK delivery from outstanding delivery. The CBD Zone - 3 steps to establish leadership with control. How to make the audience have trust in you. This skill is applicable to all languages. Vocal Enhancement Technique - Learn 5 simple steps to keep you in top form event after event. How to protect your assets. The Triad Group - I’m going to show you one of the powerful secrets that the media in all forms use. Audiences all over the world will connect with you almost immediately. Extremely powerful. This module is so jammed packed that it could be it's own separate course. But as you'll see, I've broken it down into bite size chunks that you'll be able to pick and choose the strategies that make sense for your emcee business. This is your strategy for attracting new gigs. 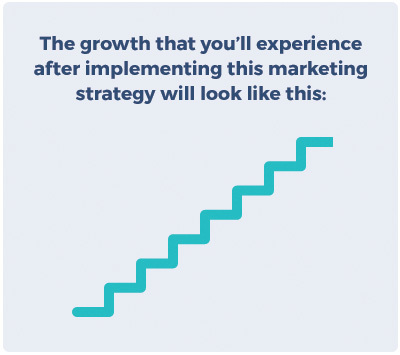 When it comes to marketing, there are a million things you can do. I'm going to cut through the clutter and share with you the few things that we do over and over again to add new gigs with every promotion. DDT - How to get the audiences excited even before stepping on stage. Many organizing committees love this simple idea. Why this is so important to brand yourself so audiences remember your name. 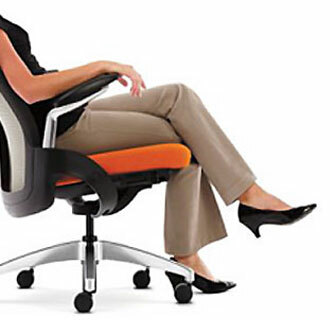 Client Meetings - Why doing this will broaden your creativity and ideas. How to make yourself think and look like a real pro. Doing this can get you recommendations. Power Dressing For Meetings - 7 Steps to confidence, charisma & power. How to impress everyone & stand-out from the pack. Why making impact here sets up confidence in you. Pricing - Why you never want to compete on price. How to work around the competition. How to value & position yourself in the maret place. Showreel Secrets - Learn how to plan and execute this essential marketing tool. The surprising recommendations I make to maximize success. Avoid the mistake that many emcees make when they follow this rule. 80/20 Rule - 4 tips that show you care for the people who matter to your business. Identify the top promoters who really will give you more work. How to build and strengthen those relationships. Reach Out And Touch - How to build and create market awareness of your services. Learn practical steps to increase your bookings. Avoid the one mistake that can destroy your marketability. M & M's - The one danger that nobody talks about that weakens you. How to manage and control it. Learn how to not give your power away. R.F.A- Learn & use the strategies that "Apple' use for success. Find out why procrastination is a killer. How to create an amazing feedback method that will keep you growing & improving. It's All Been Done Before - Weeding out the Mind Viruses. How to avoid setting yourself up for failure now and in the future The importance of being on guard and aware. How this translates to your performance on stage. Perturbation - How to use stress as a catalyst. Why C Z's are deadly to your growth. How to handle breakthroughs and increase your threshold. Mastering this module will allow you to take on the bigger, better, higher paying jobs. Momentum- Learn how to apply the compounding effect for exponential results & growth. Learn a way to motivate yourself & keep the excitement building so you don't stagnate. You don't need a lot of this, a little bit goes a long way. My goal with every emcee is to empower you to take risks, manage risks and expand your business from within. Here's where I share the tools you'll be using from now on to consistently grow your emcee business step by step. Games Galore - Learn the different game styles you need in your bag of tricks as an emcee. How to bring out the most excitement in every member of the audience. Learn what to do if your game is not working. Download this "Live"game example you can use in your events immediately. E.S.T - 6 Key Features that you must include in your marketing emails. Important aspects of branding and marketing that will identify you as a pro. Download my template and modify it and make it yours. YouTube Branding - Build your branding on one of the top sites in the world. Create your unique signature branding and stand out. Download my template and modify it and make it yours. Using these tools and templates will solidify your foundation for consistent growth. You will not be copycat emcees when you already know what is going on behind the scenes. You are about to see "LIVE" clips of me on stage using all that you have learnt in action. You'll learn how I subtly inject them into each event. Altitude Alliance Case Study - Watch me put the lessons in this "LIVE" event. Follow along and take notes. This video is not found anywhere. 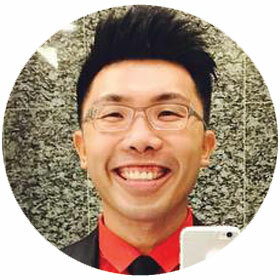 Admiralty NDP Case Study - Watch me put the lessons in this "LIVE" event. Follow along and take notes. This video is not found anywhere. Collection Of Formal Events - Watch me put the lessons in this "LIVE" event. Follow along and take notes. This video is not found anywhere. DHL D&D Case Study - Watch me put the lessons in this "LIVE" event. Follow along and take notes. This video is not found anywhere. 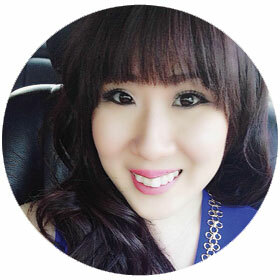 Here you'll find insiders tips, tricks and know-how to help you with various aspects of preparing for an event. These bonuses are in your members area for you to use and implement. Finally You Can Become The Best! The Events Industry Needs That Special Talent That Only You Have. For your security, all orders are processed on a secured server. Price is in Singapore Dollars. The course materials and instructions are only available in a members only website at emceeformula.com. You'll be able to follow along and learn at your own pace after each lesson is released monthly and get to interact with Donna on a "LIVE" Masterclass Monthly group call. Advanced training to accelerate your success! 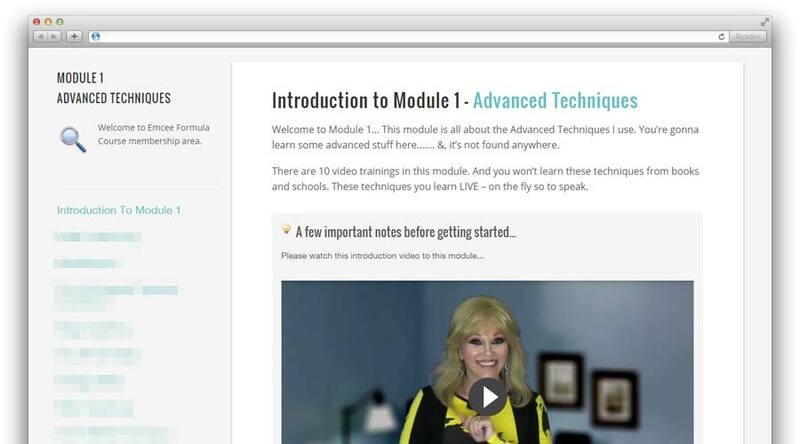 Each module is comprised of several short video lessons. Downloadable audio versions and worksheets, templates (for the tools & templates module) are also provided so that no matter how you like to learn, we have you covered. We know you're busy & on-the-go, so the modules are available to be played on all mobile devices as well as your computers. With our multimedia training, you’ll get access to downloadable MP3s, interactive PDF Worksheets, and templates. If you are one of the lifetime members, you qualify for my exclusive, extremely popular, one on one, 'Hot Seat". That means, I will have a 1 hour personal meeting with you at a pre-arranged designated venue where you get to 'pick my brain' apart ....lol. If you are one of my overseas students, then it will be a one on one 'skype' call. Most modules include zip file downloads which make it easy for you to extract worksheets, templates, samples, guides & games so you can work easily through your modules and keep yourself accountable and always progressing, improving and developing as a top emcee. If you’re an emcee, budding emcee or emcee wannabe that’s struggling to take your business to the next level, being a member of EFC WILL help you. It’s been proven time and time again that if you learn from the best and surround yourself with like-minded people, your success will soar. How much time will it take to go through the entire EFC course? The entire EFC course consists of more than 50 lessons and growing all the time. Most lessons will be released monthly to avoid information overload and allow you enough time to digest, implement and get feedback on what you’ve learnt. You can learn the course at your own pace. That’s why if you’re getting married, having a baby, traveling around the world, or dealing with any big life events, you don’t have to worry about “falling behind.” Every EFC member gets lifetime access to EFC as long as you’re a member. Will I actually get direct access to Donna? Donna no longer offers one-on-one coaching (if she did she’d have to charge $2,000 an hour). Donna will be hosting our live mastermind calls each month. She remains the central player in everything that happens within the EFC Family. If I want to cancel, can I get a refund? EFC membership is billed on a monthly, or annual basis. Because of this we operate on a no-refund policy. If at some point you feel that EFC is no longer a fit, just let us know and we’ll cancel your membership. You’ll have access right up to the end of your membership period, and you’ll not be charged again. However, if you join EFC and genuinely take action, you’ll never want to leave, let alone a refund! Does joining EFC guarantee results? The action YOU take in your business will have a direct effect on how it grows and profits. Although we can’t guarantee results, one thing we can guarantee is that we will do everything we can to provide EFC members the know-how, support and accountability you need to succeed. Whether you do so, or not is entirely up to you and the action you take to secure your future as an emcee.